We recently explained why customers hesitate and what you can do about it. A key step to overcoming buyer hesitation is to counter their fears. This infographic is a handy reference for the top 7 most common buyer fears and lists things you can do to overcome them. 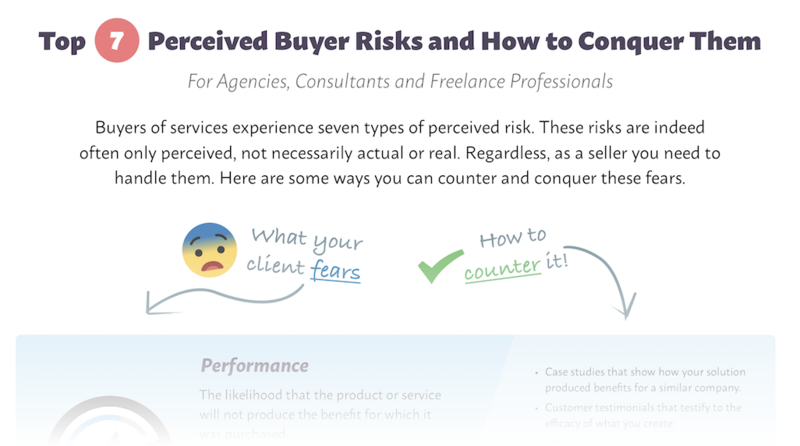 What other buyer fears have you discovered while selling? Check out This Is Why Buyers Hesitate and What You Can Do About It!